It is with great pleasure that we announce the two playwrights selected for the 2018 Milagro/Northwest Theatre Workshop (NWTW) Collaboration Scholarship. 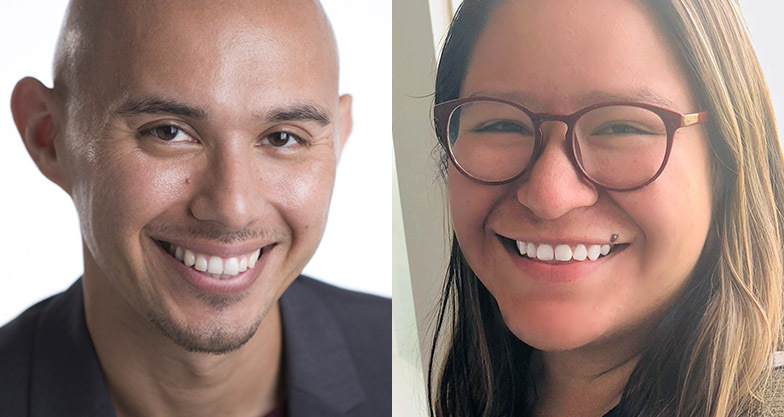 As part of INGENIO Milagro, the program to develop Latino playwrights and plays in order to add more Latino voices to the American theatre cannon, two local Portland playwrights were selected to take part in NWTW’s one-year playwriting program. The program consists of two workshops: Create: Writing the Script, a 9 month intensive and Create: Summer Intensive. The goal is to complete a draft of a play, or a rewrite of a draft of a play, during this time period. The resulting work will be highlighted in INGENIO Milagro 2019. Jonathan Hernandez is an Arizona native- making moves, creating theater, and telling stories since 1987. In Arizona he worked with Firebirds; a performance group specializing in myth and rituals of the Medieval Religious stage through the scope of Native American performance practices, along with Theater In My Basement where he created original performance art pieces. In 2013, he moved to Portland and began collaborating with amazing artists around town. He was seen on the Milagro stage in 2015 in La Muerta Baila and will be reading stage directions for CJ, a trilingual play by Mercedes Floresislas in this year’s INGENIO in September. Yasmin Ruvalcaba is a Portland based writer and director. She graduated from Williams College where she earned her B.A. in Political Science and Latinx Studies. While at Williams, she saw the need for Latinx representation and support in the theatre community; and went on to direct plays focusing on underrepresented voices, such as El Nogalar by Tanya Saracho and Ma Rainey’s Black Bottom by August Wilson. She is currently working at Advance Gender Equity in the Arts (AGE) and has been an active director for Milagro’s INGENIO Series, including Casta by Adrienne Dawes in this year’s upcoming program. In May, she will be assistant directing Wolf at the Door by Marisela Treviño Orta, directed by Rebecca Martinez. INGENIO Milagro provides Latino/a playwrights an experienced and nurturing laboratory for the development of their new work. Milagro’s commitment to new work and the development of Latino/a artists in all disciplines is what lead to the creation of this unique program, the purpose of which is to give playwrights an opportunity to work on their plays, and for audiences to experience them at the development stages. The week of rehearsals and workshops culminates in concert-style readings of the plays, moderated post-show conversations, as well as a workshop for INGENIO and local playwrights. Northwest Theatre Workshop (NWTW) seeks to cultivate, refine and expand the process of creating and developing new work for the theatre. We do this through education, workshops and performances that result in professional level work, that honors the individual and collaborative spirits of the art form, and that connects each artistic work and its civic purpose with the community. As the premiere Latino arts and culture center of the Pacific Northwest since 1985, Milagro provides extraordinary Latino theatre, culture, and arts education for the enrichment of all communities. 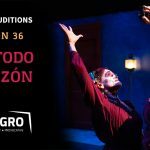 Milagro MainStage produces a full season of regional or world premieres, including one Spanish language play each year, as well as our long-running Día de Muertos signature production. Teatro Milagro, Milagro’s touring and arts education program, presents its original bilingual plays and educational residencies to diverse and underserved communities across the nation. Milagro provides a home for Latino arts and culture at El Centro Milagro, where it enriches the local community with a variety of community engagement projects and educational programs designed to share the diversity of Latino culture. We entertain our audiences; we give them pause to think, feel and imagine; and, through the cultural lens of Latinidad, we reflect the full spectrum of humanity.